Making curtains should be fun. I've looked for some of the best tutorials on making curtains. Most of them are for living room curtains and I've included a few 'no sew' curtains from shower curtains and sheets for anyone looking for a quick curtain fix. They look every bit as good as the ready made ones too! Here is a great tutorial, if you are looking for professional instructions on how to make curtains, with lining and tracking from Easy Track including how to measure your living room curtains. Okay, its a little dry but perfect for anyone with experience. It has good tips on using weights to keep your curtains flat, when to iron your curtains, adding lining and how to install gliders. If you don't know where to start read this post on different window treatments first. A simpler curtain making tutorial is from Design Sponge, this time with lots of photos. This is what your living room curtains will look like. Another detailed curtain tutorial for living room curtains is from House of Hepworthy using sheets for lining. Grommet or eyelet curtains add a nice finish, especially to living room curtains. Here are two videos on how to make your own using grommet or eyelet tape. Let's get back to easier window treatments for those of us who are in a hurry to see the end result. But first. The easiest way to work out your fabric amount is to measure from the top of your curtain rod to where the bottom of the curtain will fall. Add 18 inches or 45.7 cm to this number to get your length. The extra fabric is for hemming and shrinkage during pre-washing.You may need less if you are making rod curtains like the ones in Design Sponge. Window treatments with tracking, however, need more fabric. To work out your width, think about how full or gathered you would like your curtains. Most fabric is sold in widths of 43 inches (110 cm) or 60 inches (154 cm). One fabric width might be enough, saving you money and sewing panels together. For a more gathered look, the fabric should be between 1.5 to 3 times wider than the window width. Pre-shrink your fabric before cutting or sewing by gently washing it. 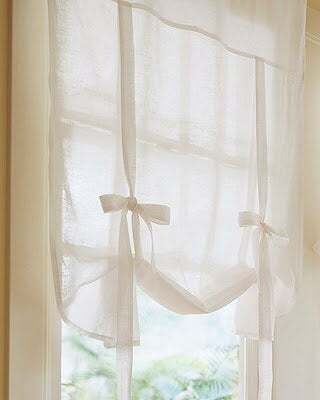 If you miss this step, your curtains could shrink during the next wash and your seams could pucker. The only time you should skip this step is if your fabric is not machine-washable. Next, iron your fabric before cutting or sewing. Removing all the wrinkles will help you measure and sew accurately and create a better looking curtain. Ironing Tip: Iron your fabric on the reverse side, just in case your iron decides to spit out some hot, dirty water. Folding and ironing down the fabric before hemming helps you to sew them faster and neater. To get a neater edge without fraying, do his twice. You read that right. 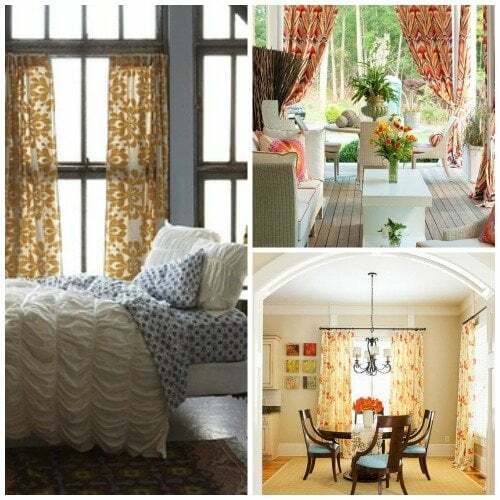 Making curtains from shower curtains is easy, and look great. Make sure your shower curtains are long enough or buy extra to accommodate. 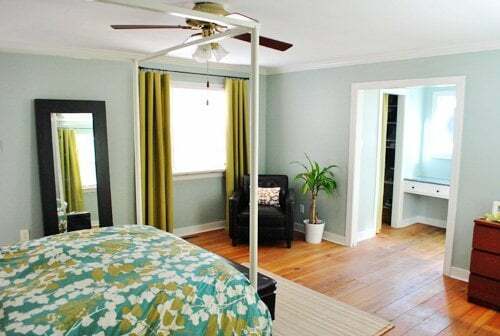 The curtains below cost $90. The full tutorial is here at AmandaCarolatHome. You could also use a duvet cover to get the fabric you need. So, think outside the box when it comes to making curtains. 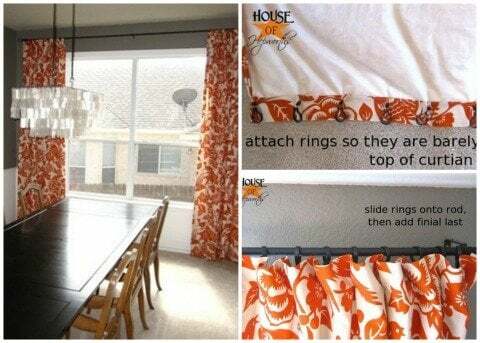 To make these curtains in another color, and you are handy with a sewing machine, then follow the instructions over at A Thoughtful Place. They will take longer because you are making curtain panels but you will get great curtains! 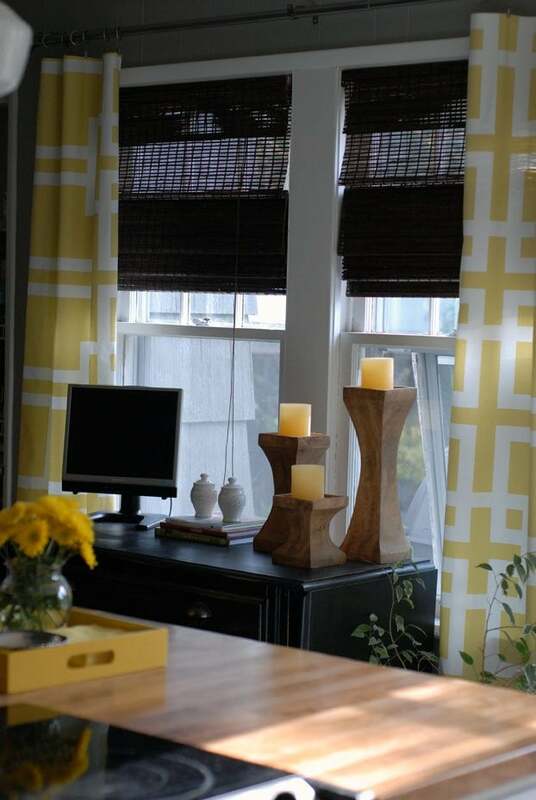 These curtains from Young House Love are made using no sew hem curtain tape. You just need a measuring tape, scissors, an iron, some no sew curtain tape and some clip rings to get things rolling. Hanging them higher and wider than the window size makes the window look bigger and the ceilings higher. Nice. 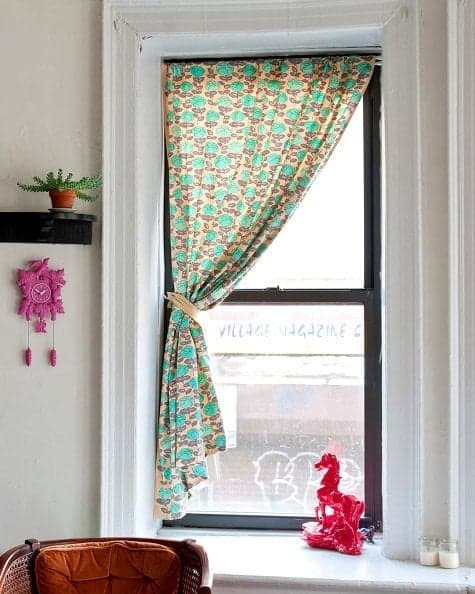 Here's another no hem curtain tape window treatments tutorial from Swoon Style and Home. Very cute! Here two more tutorials on no sew curtains, using curtain tape, one at The Nest and the other at Restored Style seen below. From shower curtains to no sew curtains, I hope you've enjoyed this curtain round up. If you like tutorials then how about this ottoman tutorial. There are more articles below and remember to sign up for our free Newsletter. You get DIY Cheat Sheet and the 42 Interior Decorating Secrets series just for joining.